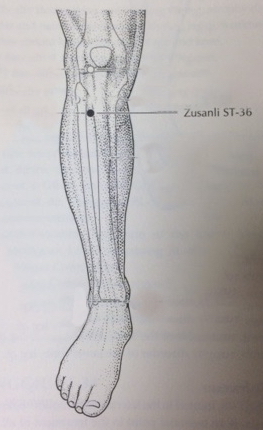 Just three weeks in, I almost threw in the towel on studying Chinese medicine. A couple of classmates and I were studying herbal formulas. It was like being asked to read and comprehend a foreign language for which I'd not yet learned the alphabet. Something in me snapped. This is impossible, I said aloud, and a fool's errand to boot! What was I thinking? Chinese medicine? How could I have had such a mental lapse that led me to embark on this path? That little note got me through many ensuing difficulties over the next three years. And in retrospect, it also set me on a path of cultivating perseverance. That’s not something we think much about in our “give it to me yesterday” world. I did not grow up with “perseverance” in my vocabulary. The first time I came across the word, I was in my 20's, fooling around with the Yi Jing, The Book of Changes. I tended to get hexagrams that were fond of saying “perseverance furthers.” I'd no idea what that meant. It sounded unpleasant. Recently I've been reflecting on the difference between patience and perseverance. Difficulties and obstacles arise in every life. Sometimes there is nothing to do. We simply have to wait. Many aspects of life don't unfold on our timeline, and sometimes we have to find a way through dead ends, other people's missteps— and our own as well. Yes, sometimes, we have to wait. It does take patience. Patience is passive, yet often unavoidable. Moments when we indeed must remove our hands from the wheel, when we cannot control events and must wait for the time to ripen. And then there is perseverance, which can take us on a path that requires months, years or decades to travel. Perseverance allows us to wait, but it is not the distracted waiting of getting through the line at Trader Joe's or the fidgety anger-infused obstructions that arise as part of daily life. I think of perseverance as patience with an active voice. It's the surrender of giving in, instead of giving up. It does not translate failure into defeat, but rather into opportunity. It's the hero's journey in working clothes. Patience allows us into the moment as it is. Perseverance threads those moments together. You've likely noticed lawns sprinkled with a polka-dot of fallen leaves. The deepening of the sky from pale summer blue to a deeper luscious cerulean. Evenings that invite sleeping with windows open to the cool night. between the heat of summer and the cool dry of fall. It is considered a time of year that corresponds with the Earth element of the Five Elements. It's a time to gather and harvest. And if you have any kind of “Earth” issues, this is a good season to have them treated. What are “Earth” issues? Anything that has to do with the digestion, which includes acid reflux. (Take note, those of you who take Nexium or Prilosec on a regular basis.) Earth issues also include any kind of psycho-emotive issues that have to do with how we nourish and care for ourselves or others. 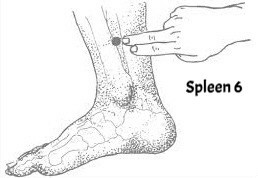 Here are a couple of points that are helpful to stimulate with acupressure, massage or even 30-60 seconds of vigorous slapping duringthis time. San Yin Jiao, Spleen 6 and Zhu San Li, Stomach 36 are emblematic of the Earth element and this particular season. They have a little extra energy in them at this time year. Plus they can promote immune function, which you will need in greater measure as we move into fall and winter. You saw the marks on athletes’ bodies in the Olympics, and perhaps heard the startled remarks from the commentators. Now that the Olympics are over, take a few minutes to get the deeper story of why these marks sometimes show up with cupping and why the practice is beneficial. I put together a special podcast on cupping. Listen in over on the podcast site, or on iTunes. 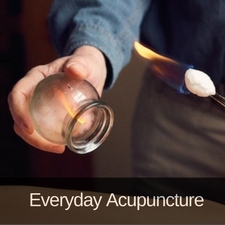 n my work as an acupuncturist I've seen health issues that range from joint pain to infertility and diabetes to recurrent colds that all may have their roots in the various metabolic, inflammatory, hormonal imbalances and blood sugar regulation issues that come from eating a sugary diet. If there is just one thing that I could do to assist so many people — if there was a linchpin intervention that would both promote health and cut illness off at its root — it would be to help them transform their relationship with sugar. 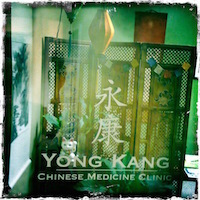 One of the core principles of Chinese medicine is a focus on getting to the root of things. To that end, I am in the process of creating a 45-day program that slowly helps to transform a person’s relationship with sugar. This is not an exercise in will power or deprivation. You probably already know that when in the process of fundamentally changing a long-standing habit, applying force is like punching one of those knock-down clowns. The harder you punch it down, the faster it pops back up. Instead of using force, this program applies the principles of mindfulness — small easy daily practices — and focuses on slow, incremental changes that allow you to grow into a sugar-free version of yourself. This fall I will launch a 45-day program called “Journey Beyond Sugar.” The program will help you better understand your relationship with sugar and also help you make some gentle changes that in the long term can transform your relationship with sugar. Sign up for more information at Beyond Sugar. is the conversation between what we love to do and how we love to be. Rest is not stasis but the essence of giving and receiving. Rest is an act of remembering, imaginatively and intellectually, but also physiologically and physically. To rest is to become present in a different way than through action, and especially to give up on the will as the prime motivator of endeavor, with its endless outward need to reward itself through established goals. • Mindfulness changes your brain, and helps with anxiety. • How technology hijacks your brain, and what to do about it. • Does chocolate improve your brain function?